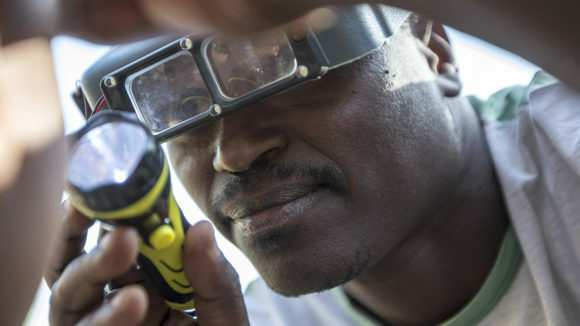 Great progress has been made in the past five years on disability-inclusive global development, but it’s critical we don’t lose momentum if we want to achieve our goals. Working in the development sector is a bit odd in many ways, but it’s peculiar in one way in particular: if you’re successful, you’re working yourself out of a job. If asked where they see their company in 50 years, most directors would say: “Bigger, faster, better.” In the nicest possible way, I hope my company doesn’t exist. If we do our job, development agencies shouldn’t be needed. All kids should be being educated, whole populations able to access healthcare and all people able to take part in the economic, political and social life of their communities – without being reliant on external agencies. Of course there’s always a case for international cooperation beyond just trade. I mean, who wants to be stuck on their own island having no contact with the outside world? But imagine a world where a Christmas* appeal isn’t needed (*other traditional times for seasonal giving are available) and there are no requests for money coming through the door. Not because we stopped caring, but because we weren’t needed any more. Well, it does feel like that sometimes, when two steps forwards are followed by more than one step back. But there are many good reasons for optimism as well. In the past 30 years, the proportion of the global population living in extreme poverty has reduced from more than one in three people, to about one in 10, even while the population has been growing. And every year, more girls are going into education, a key factor in social, political and economic development. Of course, a complex range of factors have been involved, but very few people would argue that development aid hasn’t played any part in this progress. 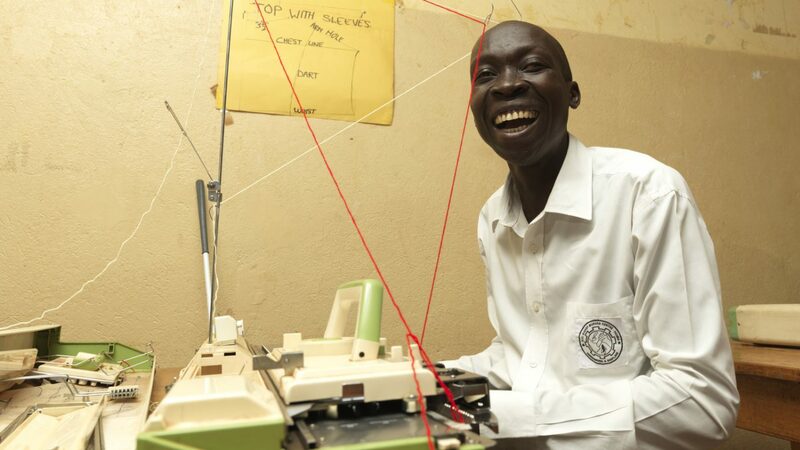 Isaac, a graduate of the Connecting the Dots employment programme for young people with disabilities in Uganda, supported by the EU and Big Lottery Fund. 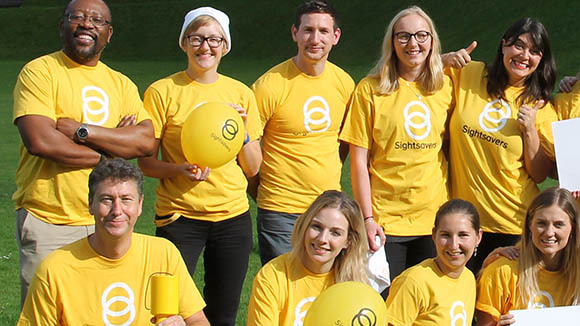 Another reason to feel positive is the increasing inclusion of people with disabilities into international development thinking and action – something that Sightsavers has been campaigning on for the past five years. The UN’s Millennium Development Goals, almost entirely silent on disability, were replaced in 2015 by the far more inclusive Sustainable Development Goals (SDGs), which make promises about the education, employment, health and political rights of people with disabilities. This means every country in the world that has signed up to the SDGs will need to do more to ensure inclusion across government departments, to ensure the rights of people with disabilities are upheld. This aim to include was enshrined in probably the most enduring of the straplines that the SDG discussions inspired – the drive to ‘leave no one behind’. In the build-up to the SDGs in 2014, the UK Department for International Development drew up its first disability framework. Among other things, this has led to three multi-country disability inclusion programmes worth about £50 million over the next few years. They will focus on really building global understanding of how to improve the inclusion of people with disabilities in education, health and the workplace, and how to tackle and reverse the social stigma and discrimination faced. 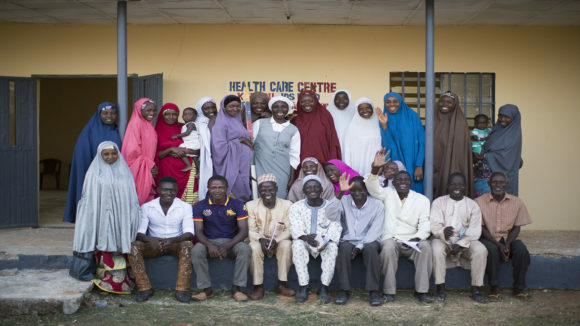 Sightsavers has developed some ground-breaking partnerships to lead two of these programmes and this is a truly exciting time for all involved. 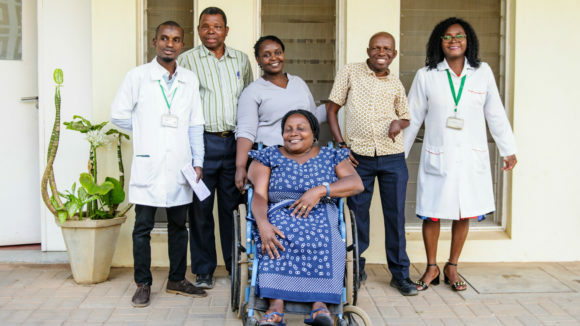 The first Global Disability Summit was held in the UK in 2018, co-hosted by the governments of Kenya and the UK and the International Disability Alliance. This led to commitments made by a huge range of governments, international agencies, companies and civil society organisations – all of which were about the inclusion of people with disabilities. Together, these represent changes in policy and practice, and concrete commitments for the future. And these are by no means the only changes that have taken place in those five years. 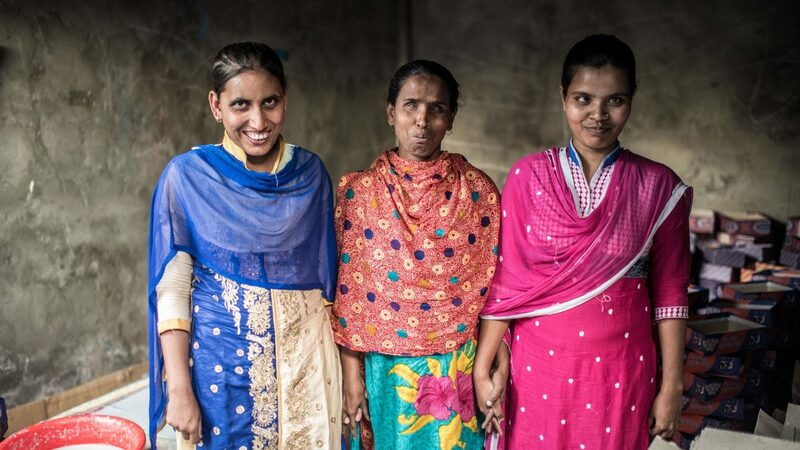 Juthika, Hanufa and Ranu, all of whom are visually impaired, photographed in their workshop in Narsingdhi, Bangladesh. One of the things I’ve learned in 20 years working in the sector is that our greatest achievements come when we work together: when we put brand, logos, organisational identities and interests to one side and focus on the mission. 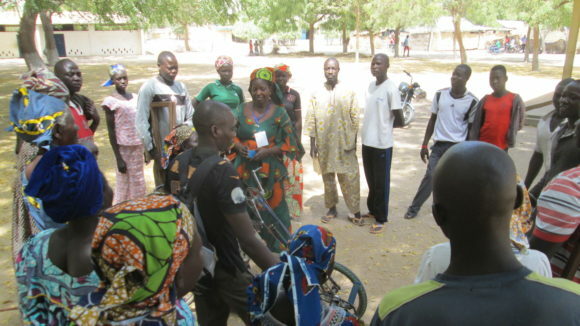 Networks such as the International Disability and Development Consortium and the International Disability Alliance can genuinely change the world. The issue isn’t who made it happen, it’s that change is happening. For the disability sector, collaboration has been so far, so good, but there’s a long way to go. If we’re truly going to say in 2030 that the world left no one behind, we need to keep up the pressure. 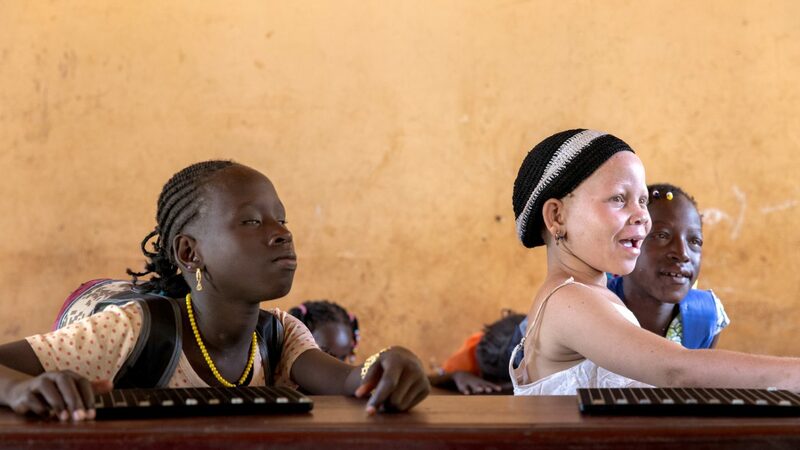 We need to keep providing the evidence of what works in inclusive development, and keep demonstrating that exclusion and discrimination remain a daily lived reality for many of the one billion people with disabilities on the planet. Fewer people left behind is a good thing. But we’re aiming for No One – and I’m looking forward to seeing it happen. 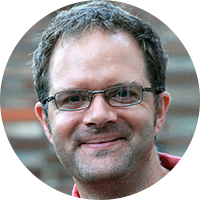 Dominic is Sightsavers’ Director of Policy and Programme Strategy. He also chairs the International Disability and Development Consortium.